If you want to visit somewhere with great prices and cheap beer, Prague is definitely a place to go and satisfy your wanderlust levels! Dubbed as the “Mini Paris”, the city offers many activities and attractions for all types of travelers including young travelers. From the Old Astronomical Clock in Old Town to stylish coffee shops in New Town, there is something for everybody! With Prague everlasting non-stop popularity, there is no reason why you should skip this on your list! You can browse through our Top 10 hostels, we have compiled below for your future travels! 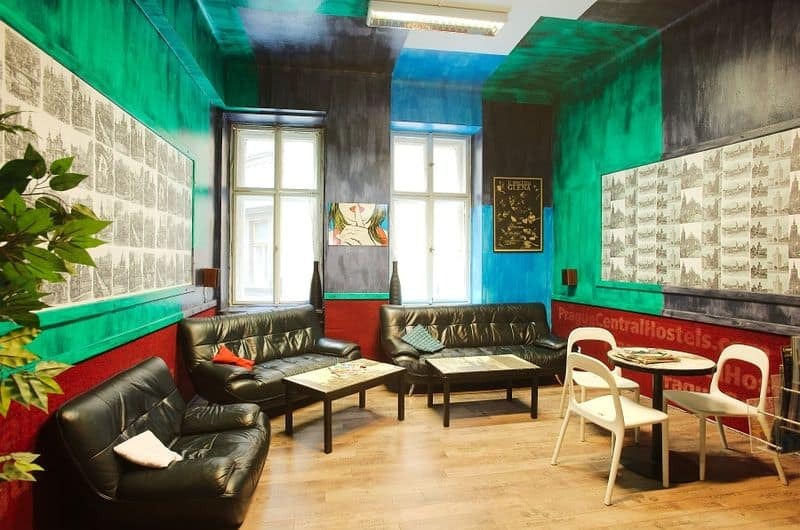 Hostel One Prague is a hostel promising an ultimate Prague experience for backpackers. There are no curfews and rules to follow, so guests can enjoy Prague beyond limits during their stay. Hostel One Prague swears it is among the cheapest places to stay when in Prague. The Old Town is only 15 minutes by foot, and a 24/7 tram to bring guests to the metro. Cleanliness is critical to this hostel and guests, there is a dedicated cleaning team who works 24/7. The hostel features an elevator and a luggage storage room (free use for guests) for added convenience. All rooms in this hostel are spacious, well-designed, and come with its own bathroom and hot shower. Linens are completed in their comfy and neatly-made beds. This is a self-catering accommodation, so there’s a shared kitchen open anytime. Guests are entitled to free tea and coffee. For entertainment, this hostel features a TV and game room with comfortable lounge couches, a TV with satellite channels, a guitar, dozens of DVDs and a Nintendo 64. Guests also can enjoy free-to-use computers and high-speed internet access. 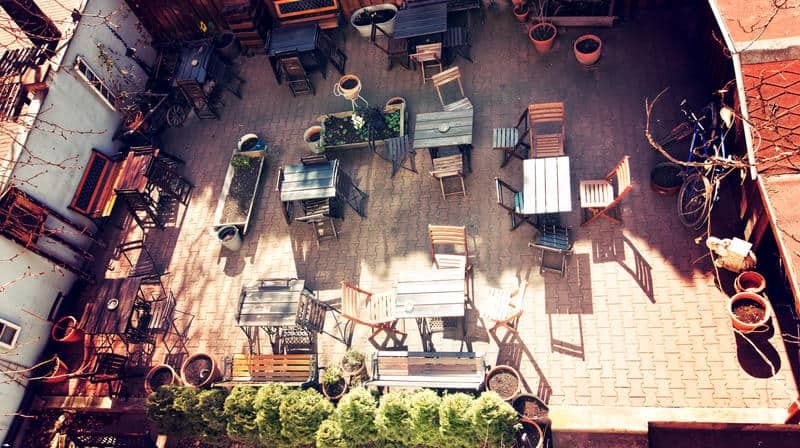 For unwinding and relaxation, this hostel has cozy balconies, patios, and garden area. 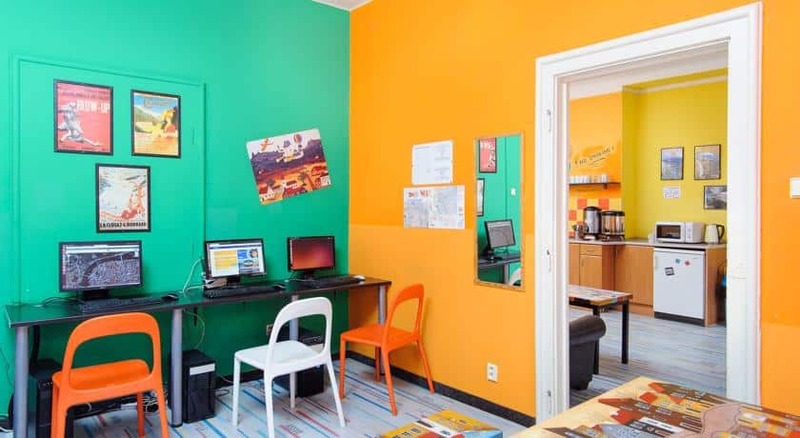 This hostel boasts a hospitable, international staff and service – ready to offer recommendations to tourist spots and destinations in the city, cook food for those who aren’t used to self-catering accommodations, and arrange bookings and transfers. 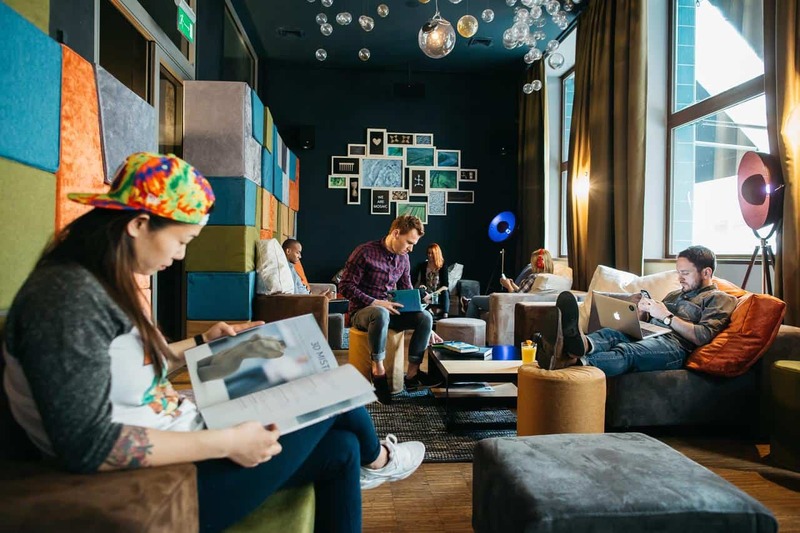 Another thing that makes this Prague hostel stand out is its proximity to the Zizkov district, perfect for the adventurous backpacker in search for arguably the best and hippest bars, clubs, cafes, and restaurants in the entire country. But in case, you don’t feel like going out, their Cave Bar also offers drinks worth trying. For somewhere off the beaten track, you should think about Sir Toby’s Hostel outside the city centre. 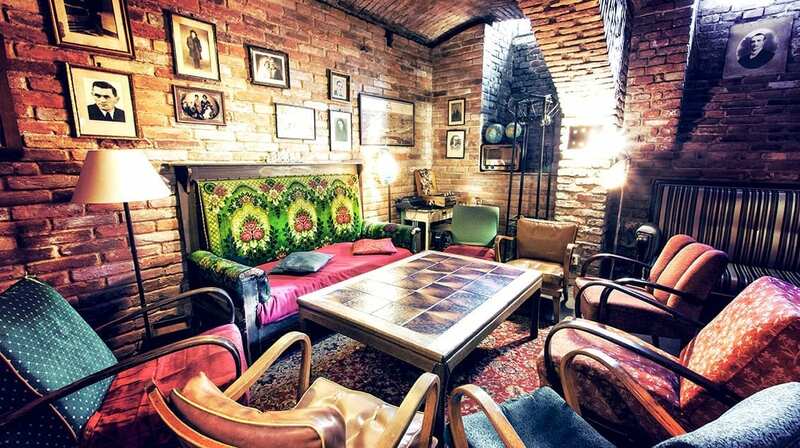 A hip hostel just located in the Holesovice area of Prague. 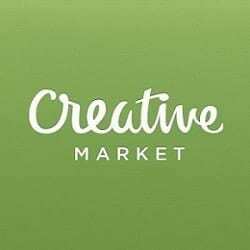 It is still conveniently located for access to local museums, markets and two known clubs. You can say this hostel is fitting for a traveller who is seeking authenticity. This hostel is also close to local transport too to explore other areas of the city. Why else should you bother? 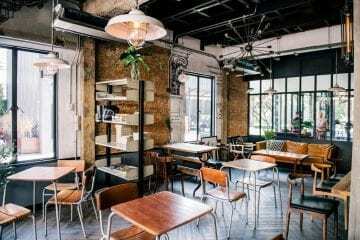 Well, for social events held by their highly rated staff, you can venture to their cellar pub where they hold various events and serve you Czech beer! You can get acquainted with fellow travellers in your dorms and common kitchen, and barbecue events in the garden too! Private rooms are available too if you are seeking some privacy. Situated just outside of Old Town, Mosaic House has many things to offer. If you want to party until the end of the night, you can do so just on your doorstep! After all, there is a bar just situated on the ground floor which is fitting for all party animals alike. So, the social atmosphere is certainly high. There is even a restaurant on the ground floor too, which would be perfect for your hangover if you do not want to venture out. Alternatively, there are communal kitchens too if you want to showcase your culinary skills to other travellers. Rated high on cleanliness and security, you will definitely feel safe and be looked after here. What’s more? Free wifi and free city maps! One thing for sure is, you will not be bored and low with options here. 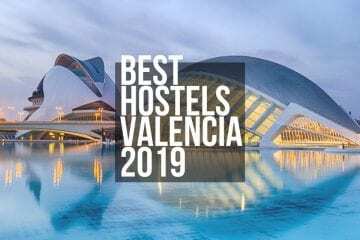 A recurring winner of Hostelworld Hoscar’s Awards, it is no surprise this hostel landed on our list! 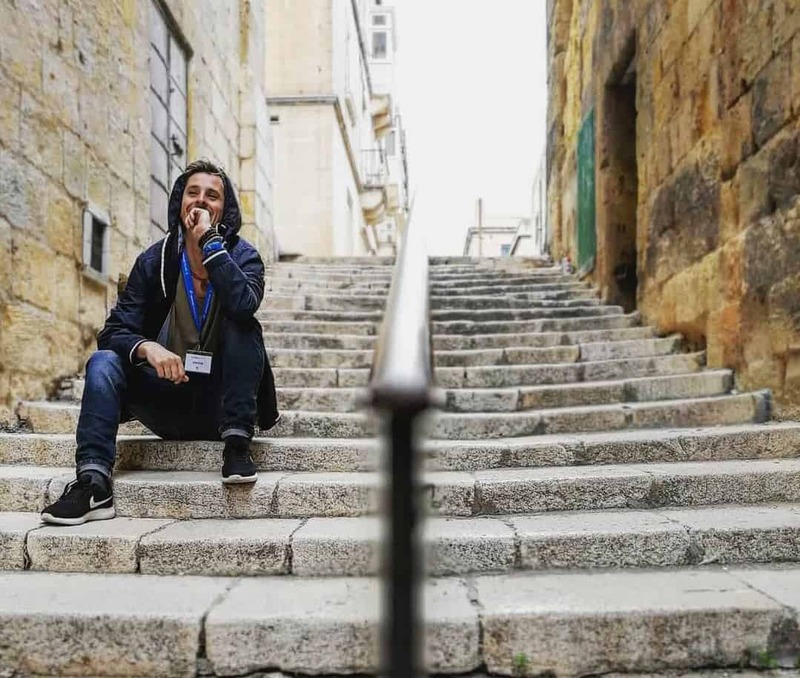 Perfectly located next to the Jewish Quarter, Republic’s Square and Old Town Square, you are certainly not out of options when it comes to an activity-filled trip! 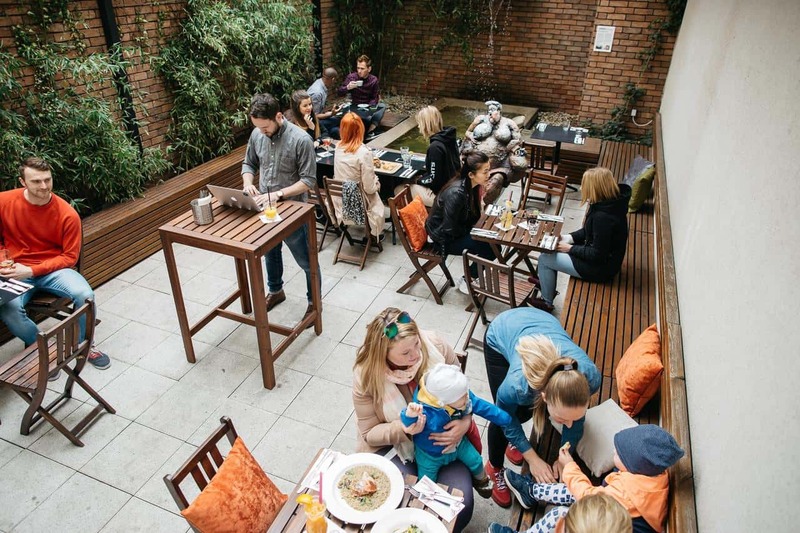 Pair this with a daily pub crawl, you will be busy without even knowing it. Why? 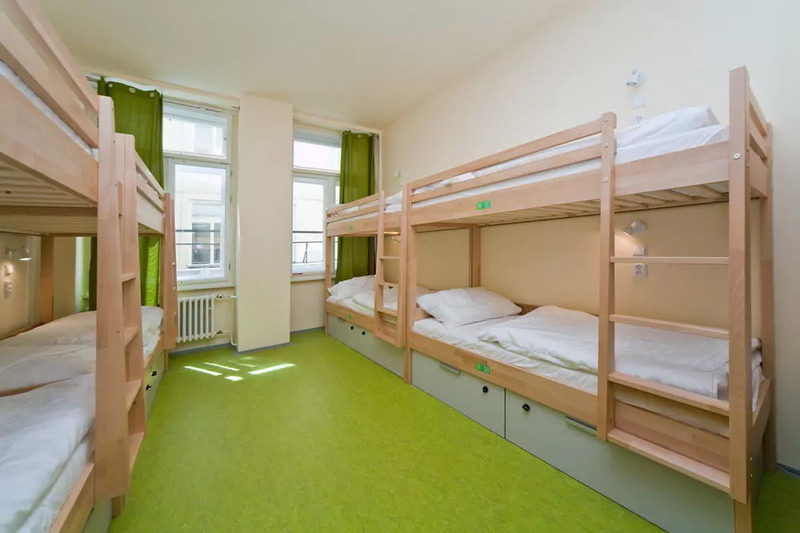 This hostel have also negotiated discounts with local attractions such as the Museum of Communism, Bohemian Bagel, Sandeman’s Prague Tours. Perfect for a budget traveller! You can also make yourself at home easily in their dorms, a communal kitchen with a dining hall and lounge area. You can gain access to public transport since the main train station is just 10 minutes away too. 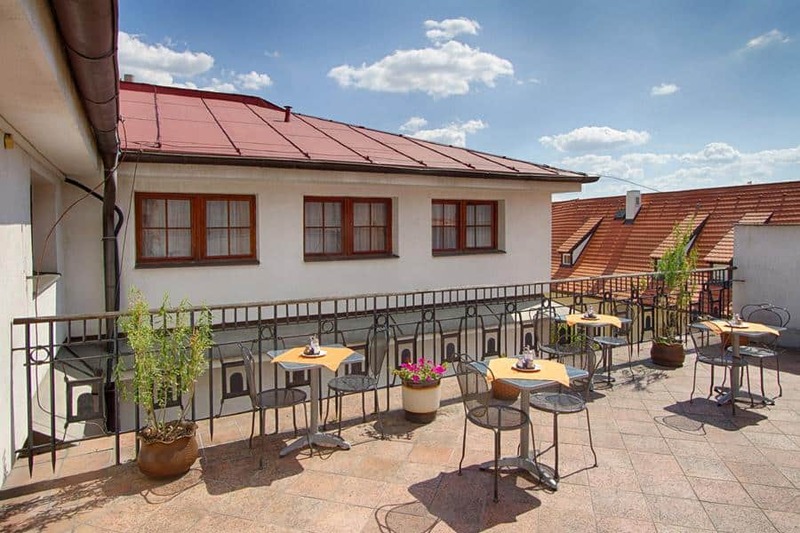 A very quaint hostel with a roof terrace offering scenic views of the city, and perfect for the upcoming sunny weather! 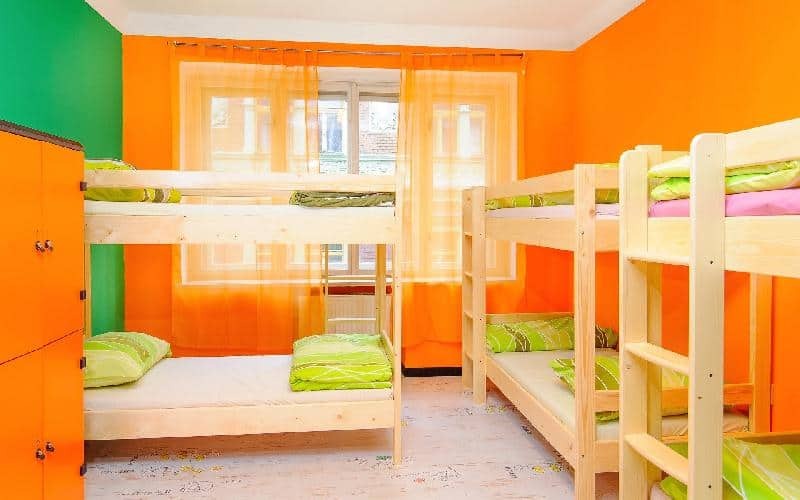 This hostel is located in Mala Strana, just between the famous Charles Bridge and Prague Castle, which means this scores extremely high on location. Their staff members are known to be very friendly and knowledgeable of the area, and offers you various recommendations throughout your trip. With a bar and lounge area which boats various fun activities to pass the time with electronic darts, table football and a TV, there is something for everyone in this hostel! With a secure luggage room for storage and free wifi, this place is very welcoming and ready to serve you when you need it. 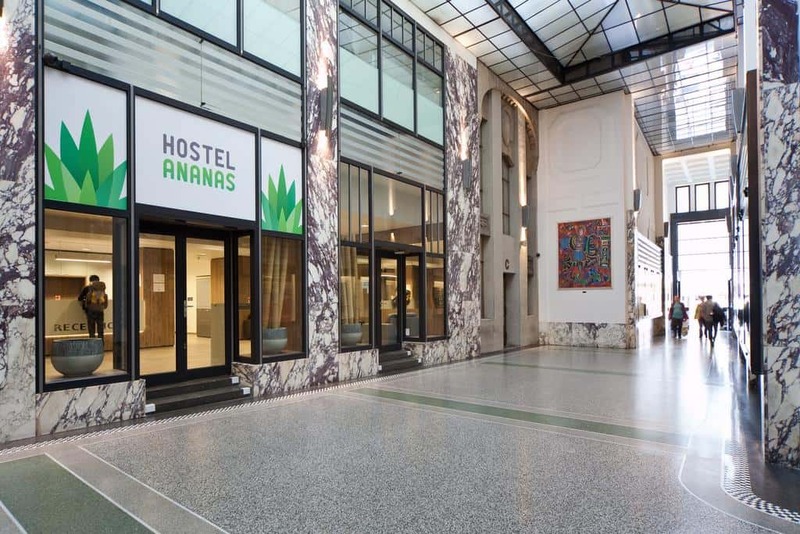 If you want to be thrown right into the centre, and having various locations to explore, Hostel Ananas is for you! Only three minutes away from the rustic Wenceslas Square and the famous Old Astronomical clock, you will be in the midst of hustle and bustle. If you are visiting at the end of the year, you would be perfectly located in front of the festive Christmas markets too. You can access public transport such as the underground and tram station with ease, and other amenities like restaurants and supermarkets all in an instant! 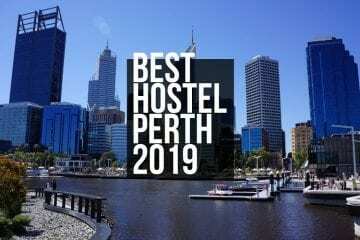 A modern hostel offering free walking tours of the city, free wi-fi and a sociable atmosphere as they also offer a variety of dorms from 10-beds to 4 beds, twin beds with shared bathrooms. You can easily meet fellow travellers here and have a jam packed filled trip all on your doorstep! For something different and outside the touristy areas, consider award winning boutique orientated Sophie’s Hostel in New Town! Decorated with a modern, minimalist and designer feel in a historic building, it is far from a typical hostel as they do not have bunk beds. Teaming this with a bar that offers happy hour and a no-curfew rule, you can enjoy soak in Prague’s culture without worrying about timekeeping. You can explore local Czech restaurants within the area, and get on the metro for a quick ride into Old Town Square. Otherwise, there staff can help you on the top places to go in Prague! At this rate, it may feel like you never want to leave your home comforts as you can wake up to cooked breakfast, free wifi and free guest computers! 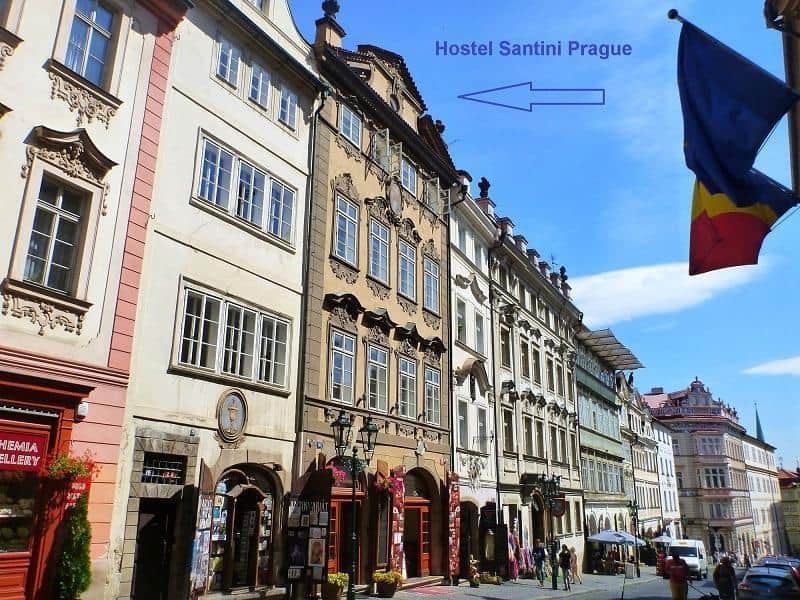 Jumping back into the centre of Prague, we have Hostel Santini Prague which is also conveniently located next to Charles Bridge! 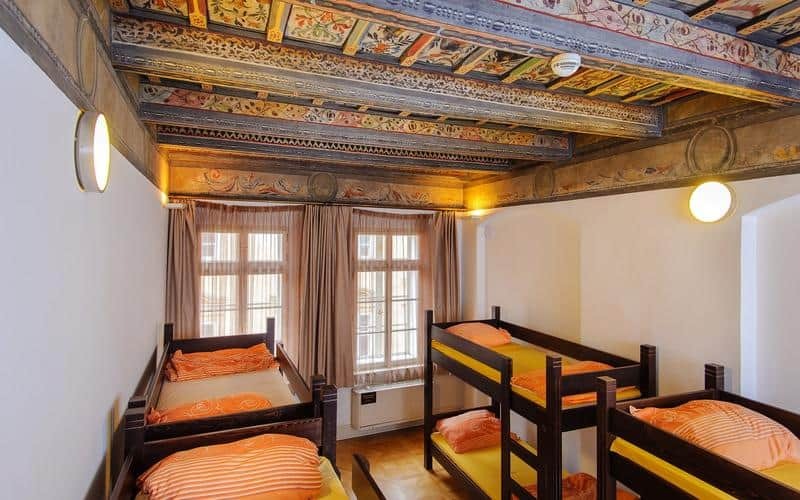 Set in a baroque building, this hostel instantly offers character, and caters to travellers by offering free wifi, towels, breakfast and a secure lockers and luggage rooms. You do not have to worry about anything. Old Town, Lennon’s Wall and the Jewish Quarter can also be accessed within walking distance too! 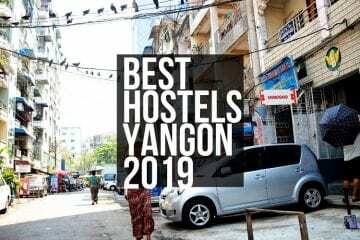 Those are enough reasons why this hostels is ranked constantly high for great value. For budget travellers who are seeking a convenient location next to Old Town Square, Prague Square Hostel would be perfect for you. You would not need to rely on public transport to get around as you can visit these places just as you step out from the building! So, places such as Wenceslaus Square, the Old Astronomical Clock and Charles Bridge is not a mission to get to at all. You can find local bars and clubs, shops, restaurants at an instant too just outside the building. Still, you can get free wifi, breakfast and deposit boxes in your dorms. For a budget hostel, this place will satisfy all your basic needs. Who can say no to their daily pub crawl too? A very popular cosy hostel situated in the city centre. 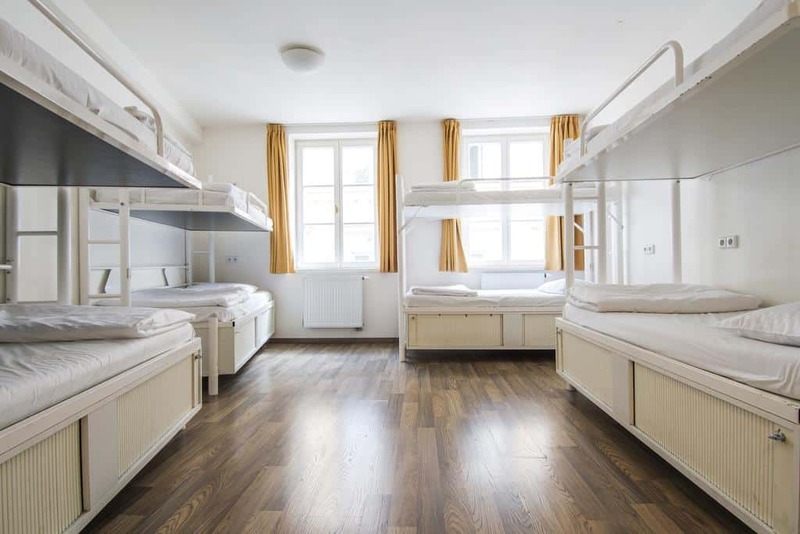 Guests can find themselves immerse in doing various daily activities in the hostels such as free walking tours of the Prague Castle and Old Town to the likes of cooking and baking sessions, beer pong and bingo events! With their fun international staff bound to make you feel welcome, you can explore other notable clubs that experiments with other music genres nearby such as rock club Vagon, a jazz filled establishment Reduta and Rock cafe! For that extra cosy welcoming feel, you can sink into their comfortable beds and pillow with a free locker in your room, and get familiar with other guests in the lounge area. You can make yourself comfortable with a self serving kitchen on site and games on request from reception. They also have a washing machine on hand if you need to do some last minute laundry on your trip! After all, it is no wonder everyone seem to be raving on how this hostel is great value for money! 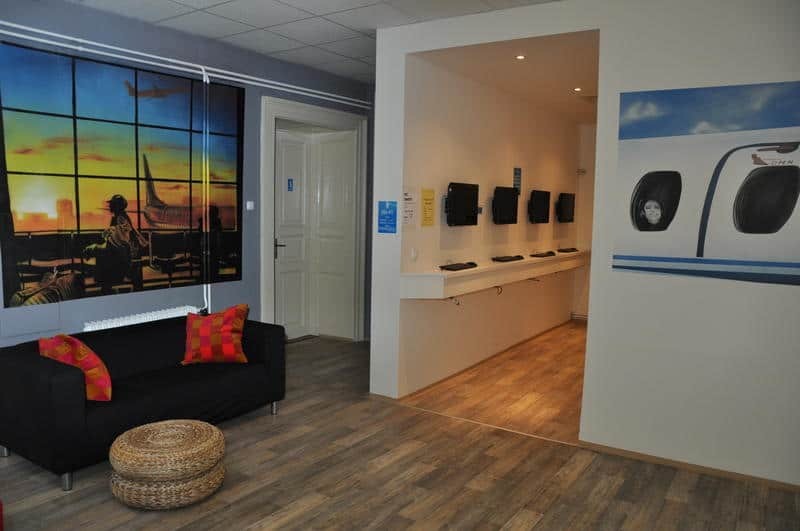 For somewhere slightly quiet and still five minutes away from Charles Bridge, Safestay Prague is the one for you! 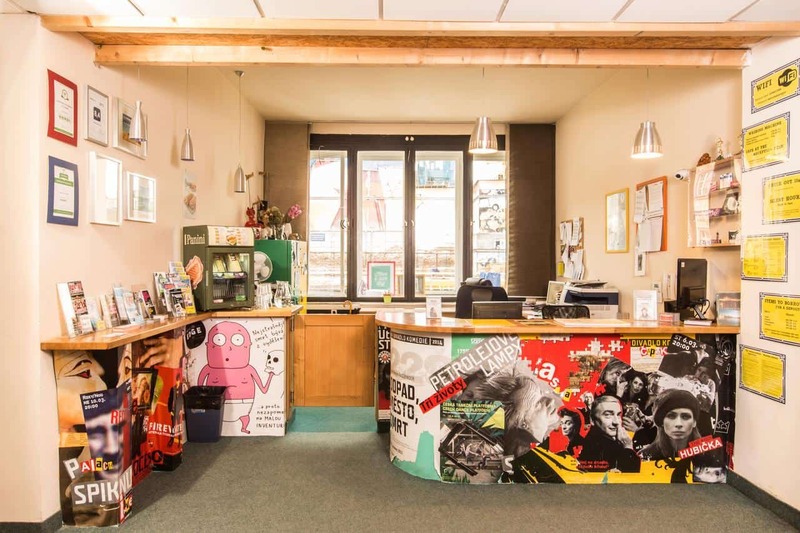 What is admirable about this very chilled hostel is that the building is fully adapted to the disabled and wheelchair access, and two rooms are fully adapted.You can find free coffees and drinks in the welcoming area, and luggage room to store your belongings. You can rest up in the lounge and outdoor terrace area, and show off your cooking skills in the kitchen too! 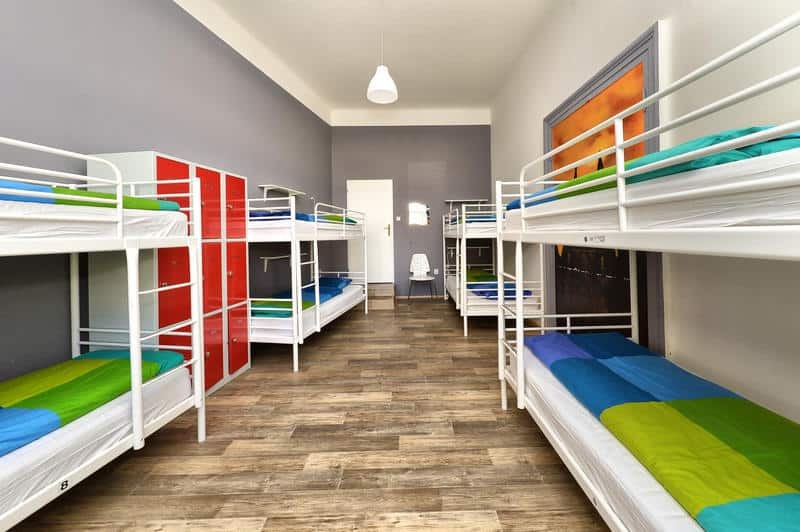 With extremely clean and spacious dormitories, washing machines and free wifi, you will not need to worry about the basics! You can find public transport such as metro and tram stations close by as it is only 200 yards away. Tired of hostels? 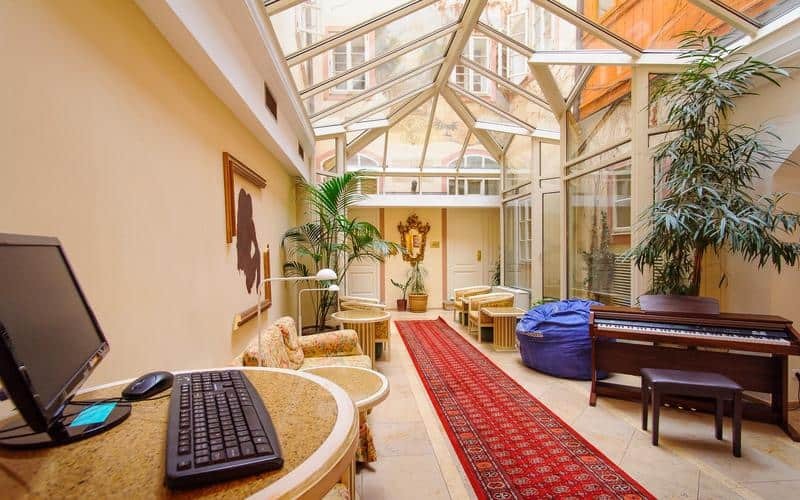 Check out cheap hotel alternatives in Prague! Now, as you know, Prague has many attractions and events to offer throughout the year for all types of travellers. 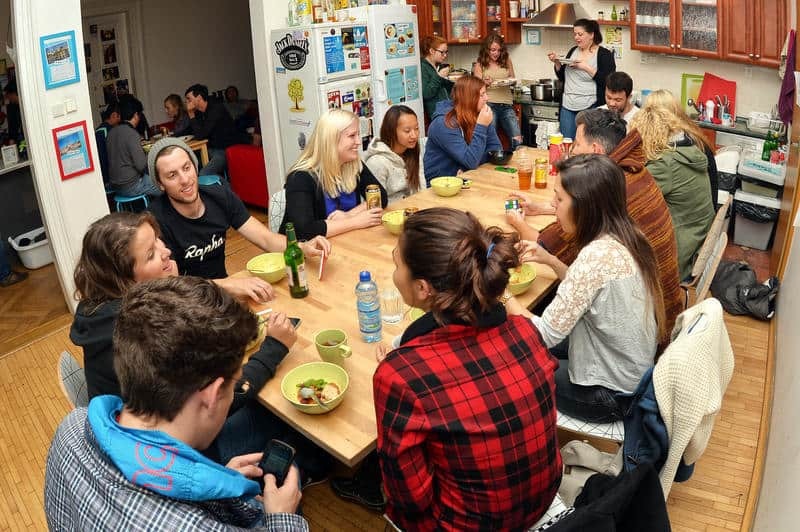 The greatest comfort is knowing that these fantastic hostels are waiting for you too! With so many places to explore and chances to get to know the locals. Now, get your travelling pillow ready, as now there are more than enough reasons to Czech this place out with a beer in your hand! Author Bio: Alexa Yeung is a freelance writer who is obsessed about travelling around the world and you will always find her with a travelling pillow by her side. She also lists Prague as one of her favourite cities ever.